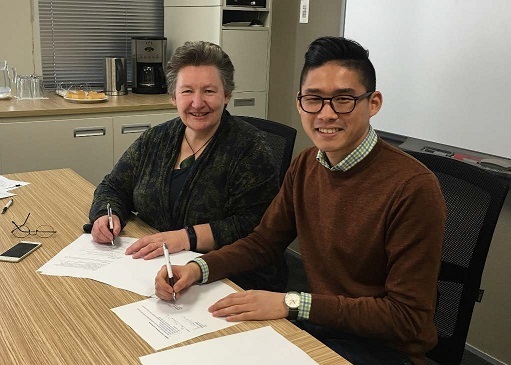 After working together for several years, the Academic Quality Agency for New Zealand Universities (AQA) and the New Zealand Union of Students’ Associations (NZUSA) have agreed a formal partnership to enhance student voice and the engagement of students in the academic audit process. The partnership objectives are set out in a Memorandum of Understanding between AQA and NZUSA. AQA and NZUSA share an objective of having an authentic, enduring, diverse and effective student voice that contributes to academic quality and quality assurance in New Zealand universities. The MoU also supports a specific objective to include students, or recent graduates, as auditors in the sixth cycle of academic audit for New Zealand Universities. The MoU includes a joint work programme between the two organisations to train up student representatives and to share information about international best practice of student voice in academic quality.